It’s hard to believe that for a brief moment in comic book history, Deadpool almost stopped the Venom symbiote from becoming evil. Unfortunately, not even Deadpool’s love and kindness could turn the alien substance from vowing revenge against Spider-Man and the whole of humanity. While nobody can argue Venom is a hero, it’s interesting to see the Venom symbiote’s origins as something that’s almost neutral. 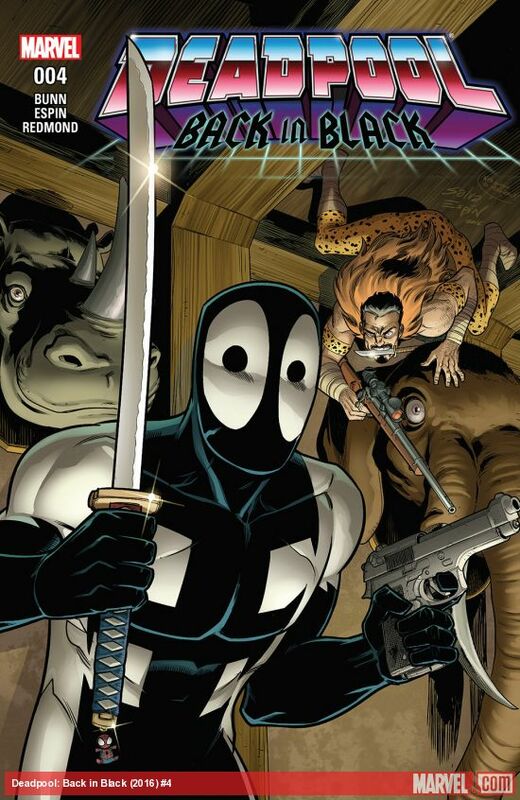 Deadpool: Back in Black takes place in the past, during a previously unknown episode that takes place after Peter Parker abandons the Venom suit, but before the symbiote becomes fused with Eddie Brock. As it turns out, Deadpool found the Venom symbiote in between the two hosts, and together Venom Deadpool went on a weird adventure that involved Black Cat, and Kraven the Hunter. It was during the encounter with Kraven that the Venom symbiote began to act overtly hostile, overpowering Deadpool’s last-ditch attempt to keep it sane, Lord of the Rings style. Like Gollum in the J.R.R. Tolkein’s classic fantasy series, Deadpool and the Venom symbiote engage in a back-and-forth verbal argument where Deadpool tries to convince Venom that Spider-Man isn’t all that bad. Unfortunately, Venom’s hatred wins out at the end, and Deadpool’s plea for the alien substance to let go of its anger fell on deaf ears. This has huge implications for Venom’s history, suggesting that Deadpool was actually really close to get Venom to not become evil in the early years of Spider-Man’s history. And while Venom would eventually become a hero under the control of Space Knight Flash Thompson, Venom is destined to be used for violence as shown in his newest host. Still, it’s comforting to know Deadpool tried his best at trying to keep the symbiote from the edge of evil. Too bad it ultimately didn’t work. Deadpool: Back in Black #4 is available now in comic book stores and digital retailers.